Cindy has extensive experience in Banking and Finance and Real Estate Finance, representing both lenders and corporate borrowers such as real estate developers, property funds and foreign investors. 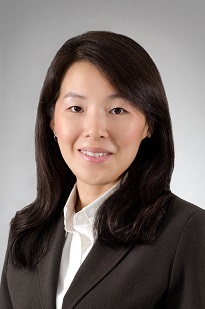 She has advised foreign and local banks and financial institutions on a myriad of syndicated, club and bilateral loan transactions including shares financing, hotel purchase and other property-related financing in relation to collective sales projects, commercial buildings, Real Estate Investment Trust investments, government land sales and Jurong Town Corporation properties, as well as the grant of trade finance and working capital. RHB Bank Berhad for an Islamic bilateral hotel financing, which at the time was in the news for being “one of the world’s largest Islamic financing deals”. The commodity murabahah term financing facilities refinanced acquisition of a luxury hotel in the core central business district valued at S$300 million, secured by a suite of securities including mortgage of the hotel, approved by the Shariah Board. Logan Property Group which is listed in the Hong Kong Stock Exchange and Nanshan Group Singapore Co. Pte. Ltd. (collectively, “Companies”) in relation to the first successful ever bid for a government 99 years leasehold residential land parcel at Stirling Road land site that crosses over the S$1 billion mark. LN Development (Stirling) Pte. Ltd. which is jointly owned by the Companies took syndicated financing of S$900 million for the purposes of, inter alia, financing the acquisition, payment of the development charge and construction of the residential development. A group of investors including foreign consortium investors listed on the Hong Kong Stock Exchange (acting through a special purpose vehicle), in obtaining close to S$400 million credit facilities from a syndicate of lenders to fund acquisition by tender of a 99 years leasehold residential land parcel with commercial uses at Alexandra View. A joint venture by local developers and a foreign listed company, in obtaining credit facilities of about S$350 million from a syndicate of lenders for the purposes of, inter alia, financing the acquisition, payment of the development charge and construction of an executive condominium on a state land parcel. The lender in granting S$130 million facilities for purchase of an office building in the Market Street area. Everfit Sage Pte. Ltd. (a special purpose vehicle of Gaw Capital Partners, a Hong Kong-based private equity real estate group) in financing relating to the acquisition of the entire issued and paid-up share capital of F2S1 Investment Pte. Ltd, the registered proprietor of the property situated at 1 Selegie Road, Singapore 188306, also known as POMO. The borrower obtained banking facilities of more than S$240 million from a local bank. A club of lenders in financing the purchase of freehold land at the prestigious One Tree Hill area and the development of semi-detached houses and bungalows thereon. The lender in granting a series of loans to an investment company for the purchase of several conservation shophouses in the Central Business District area for redevelopment. The lender in granting facilities of more than S$300 million in relation to a purchase of an office building in the Anson Road area. A financial institution in the grant of credit facilities to a public listed Singapore developer in relation to acquisition of a 99 years leasehold residential site at Sembawang. SRIF Pte. Ltd’s trust Singapore Residential Income Fund in financing for its acquisition of the entire issued and paid-up share capital of Ximeng Land (S) Pte. Ltd. ("Ximeng"), the housing developer of the residential project at Pearl Island, Sentosa Cove, a transaction requiring the approval of Sentosa Development Corporation. A local bank in the grant of S$112 million facilities granted at two different levels to a group comprising companies from four different jurisdictions, in relation to its acquisition of shares of a special purpose vehicle holding Singapore property. Private bank arm of a local bank, in revising their template loan and security documents and advising them on their practices when signing up high net worth individuals for new investment accounts.